Fancy starting the New Year by making your home smarter? Then this competition is for you! 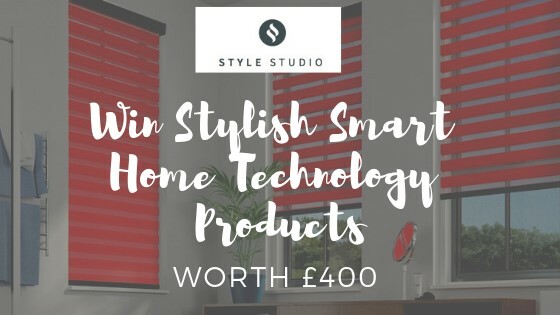 To celebrate the launch of our fantastic new Powershade Smart Controller motorised blind system we are giving away £400 worth of smart home technology products. The prize includes an Amazon Echo, set of Smart Plugs for automating home electronics and Ring Video Doorbell. 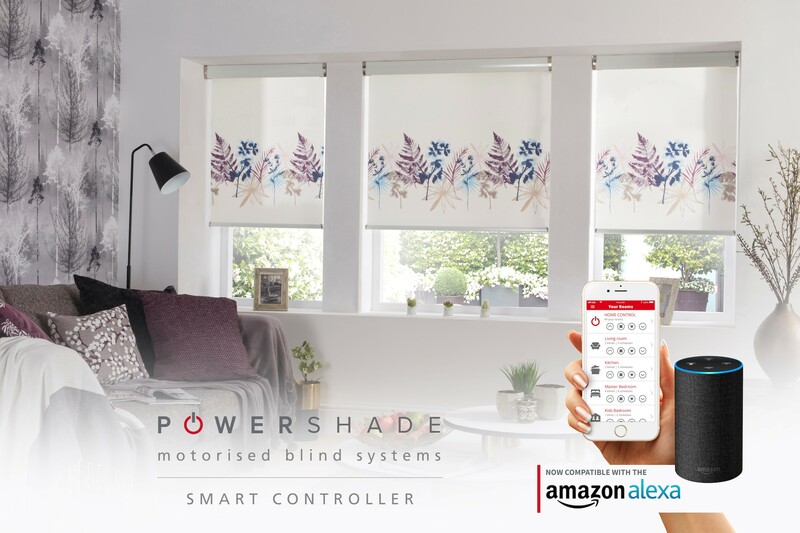 You can read more about our Powershade Smart Controller motorised blind products here https://www.stylestudio.co.uk/systems/and see how you can operate your blinds at the touch of a button, via a smartphone device or by Amazon’s Alexa or Google Home. Powershade Smart Controller is the ultimate motorised blind for you home and available with our fabulous selection of window blind fabrics and designs, across Roller, Roman & Mirage. To be in with a chance of winning our fantastic prize consisting of an Amazon Echo, smart plug set and Ring Video Doorbell, all you have to do is answer one simple question! You can also increase your chances of winning by liking us on Facebook and following us on Twitter. And why not tell your friends about the competition too? You can tweet about the competition for an extra entry. Competition ends midnight Monday 7th January and the winner will be announced on Friday 11th Jan 2019. One winner will be drawn at random to win the prizes worth £400. The lucky winner will be announced on our Facebook page and contacted by email as well as via Messenger so make sure you’re connected with us there. Good luck! *Prize does NOT include a Powershade motorised blind. 1. Prizes cannot be transferred, redeemed for cash or substituted by winner. 2. Only UK residents over the age of 18 may enter the competition, excluding employees of Style Studio and their families. 3. The winner will be contacted via Messenger and email after the competition has closed. If the winner cannot be contacted within a reasonable time period or is not available to accept the prize, Style Studio reserves the right to award the prize to another entrant. 4. Entries made online using methods generated by a script, macro or the use of automated devices will be void. 5. By entering this competition, you are deemed to have accepted the terms and conditions and agree to be bound by them, as well as any terms and conditions set by the promoter.